Printing made simple: No need to wait. Start printing right out of the box with easy setup. 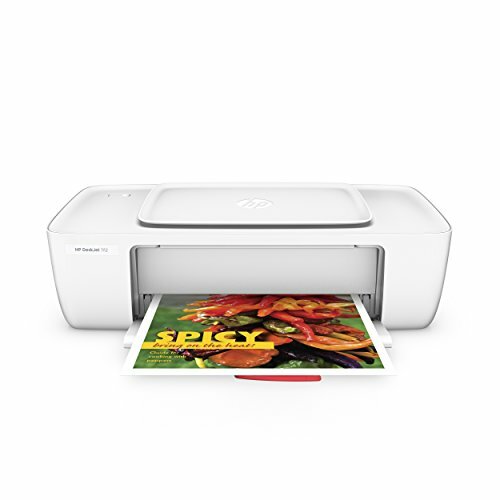 Designed to fit your life: Save your space with a compact printer designed to fit on your desk, on a shelf, or anywhere you need it. Affordable at-home printing: Print more for less, using the world’s No. 1 printer brand plus Original HP ink cartridges. Full of value—print up to twice as many pages with Original HP high-yield ink cartridges. Reduce your impact: Conserve resources—without sacrificing performance—using a printer that’s ENERGY STAR certified. Reduce your environmental impact. Count on easy, free cartridge recycling through HP Planet Partners.